- 1 can of sweetcorn of 250 g approx. Mash the whole corn with an electric mixer until getting a soft texture. You can add a tablespoon of water. Add also salt and pepper. 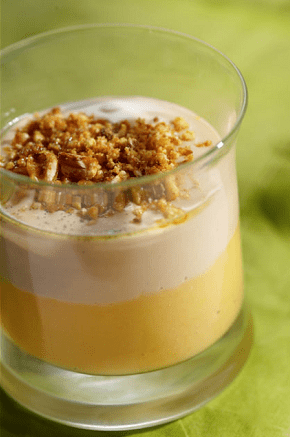 Place the corn cream in a container for custard or in a soup plate. 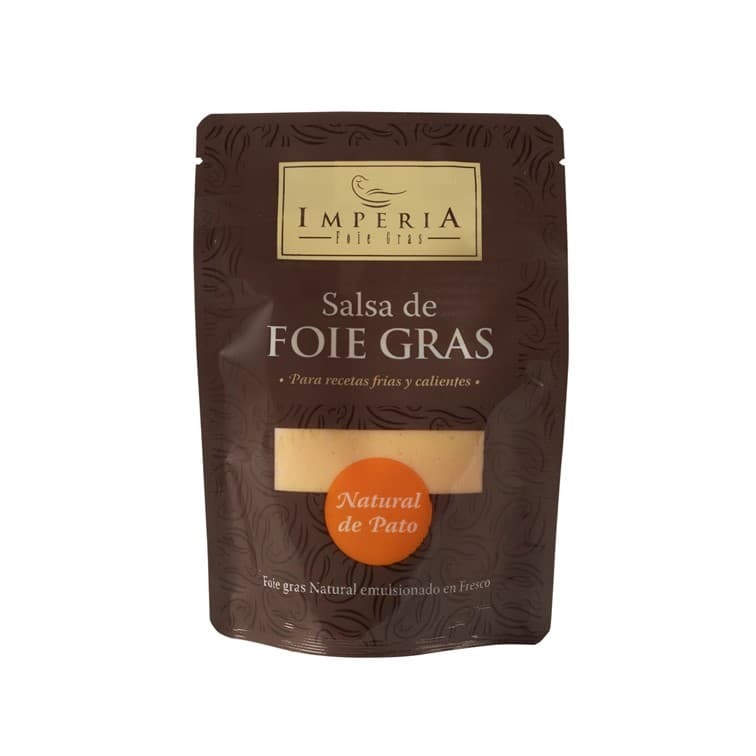 Open the Natural package of Foie gras sauce Imperia and carefully cover the cream corn. Keep it available in the fridge. When serving, add the cornuts, previously grinded with a mortar and mixed with vanilla oil and Maldon salt.